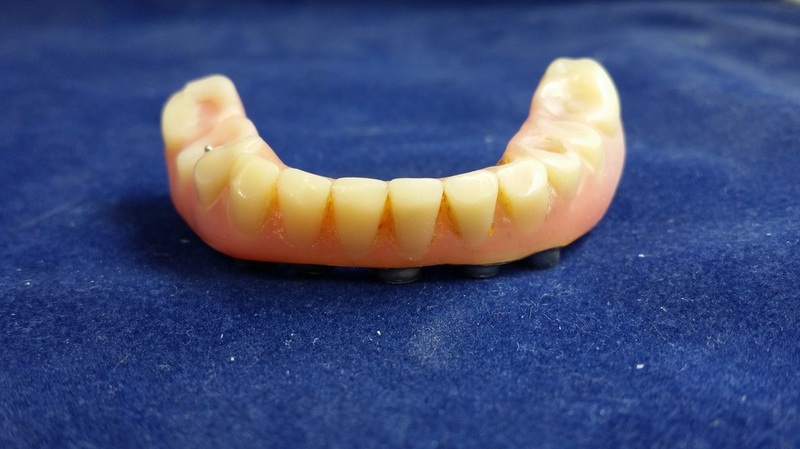 It seems like Fixed-Detachable dentures are making a comeback. The go by many names like "All-on-Fours" or Hybrid Dentures. 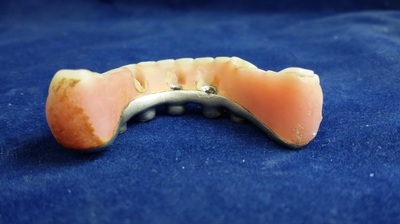 This is a case we rebuilt. It is a perfect example of what we do. We also work on new cases. The first three pictures are of the denture when we received it. 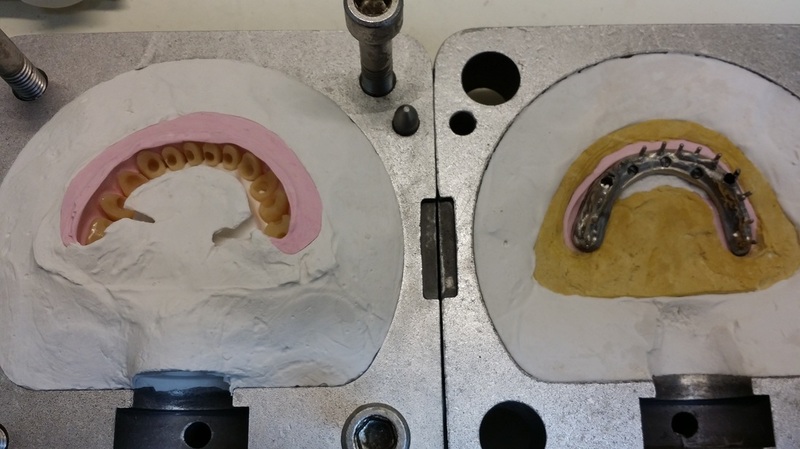 The only thing before these pictures was a light sand blasting. This case used the old Branemark Conical type of implants. 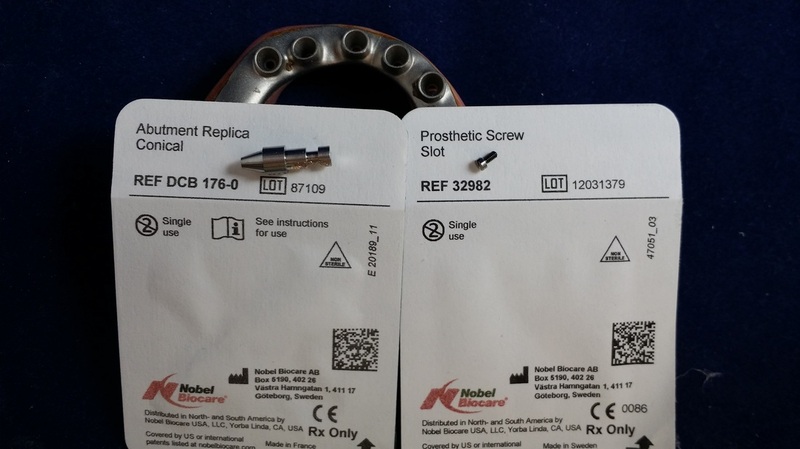 Here are the parts and what the implants look like. Then we mount it up on an articulator. 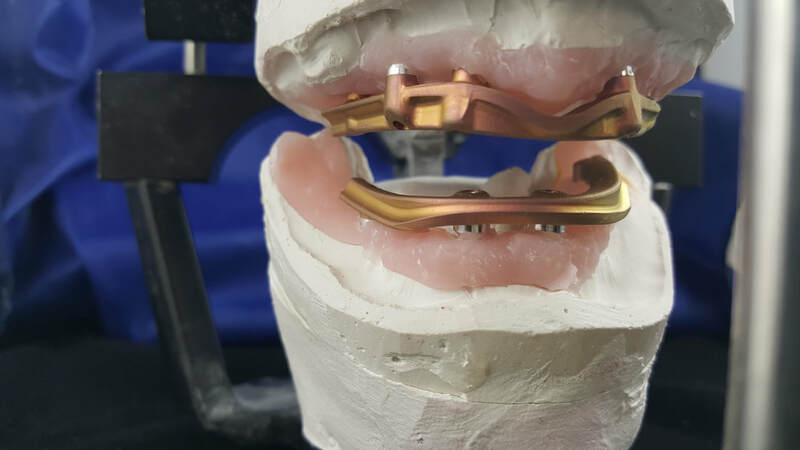 We normally use Denar articulators, but this case was mounted on a Whip Mix. The old acrylic and teeth are then stripped from the frame and new teeth are set. 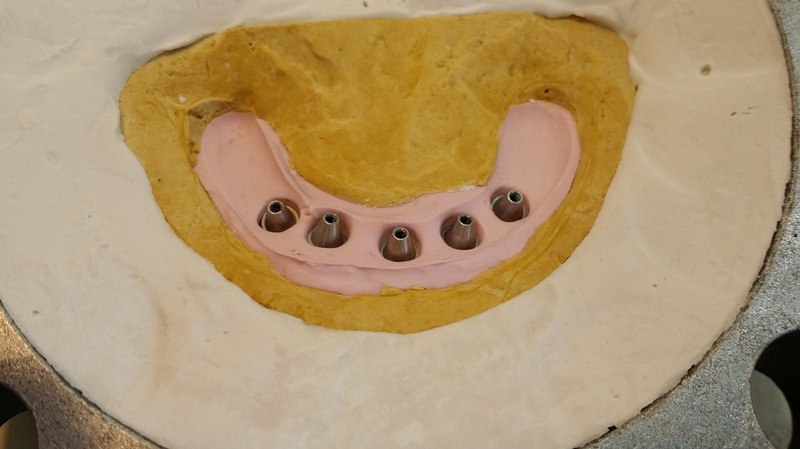 Once the waxing is finished, we flask it up and boil out the wax. 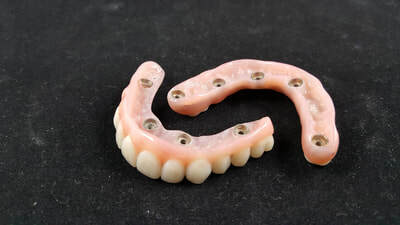 The denture is then prepared for processing with Lucitone 199. 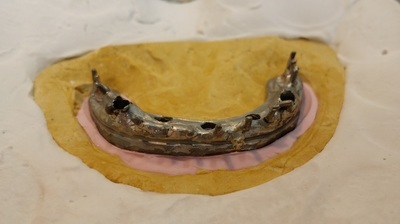 This frame was also coated with pink bond opaquer. 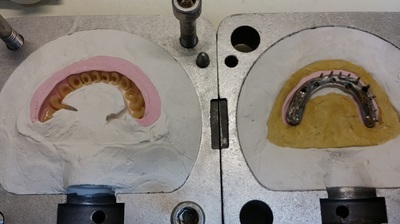 After processing is finished, we remount the case to check the bite. The rest is just polishing it up. 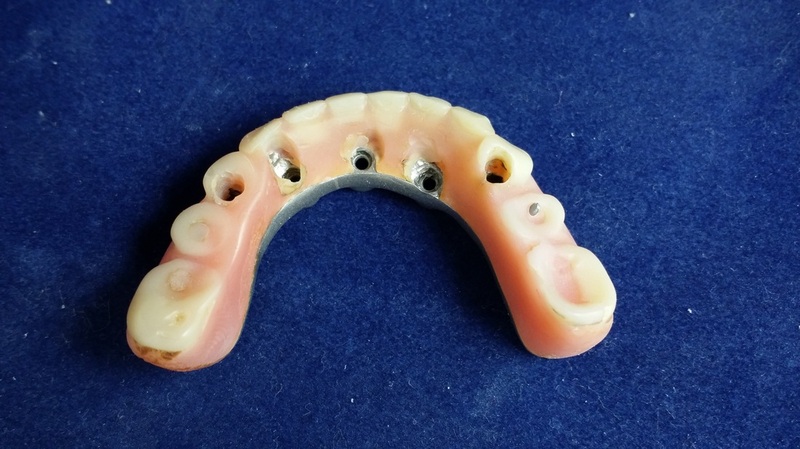 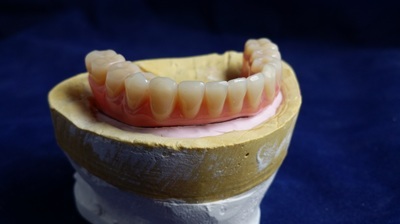 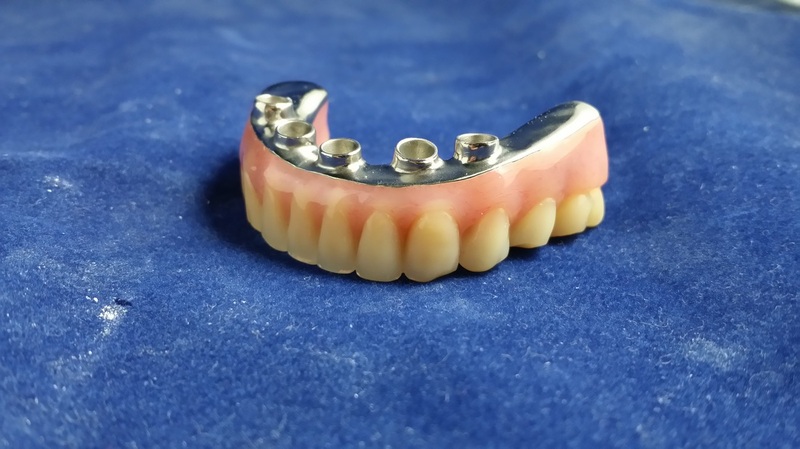 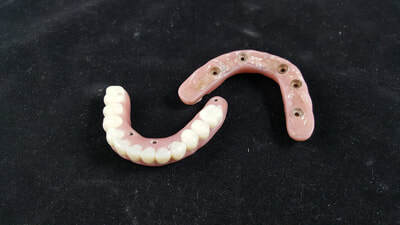 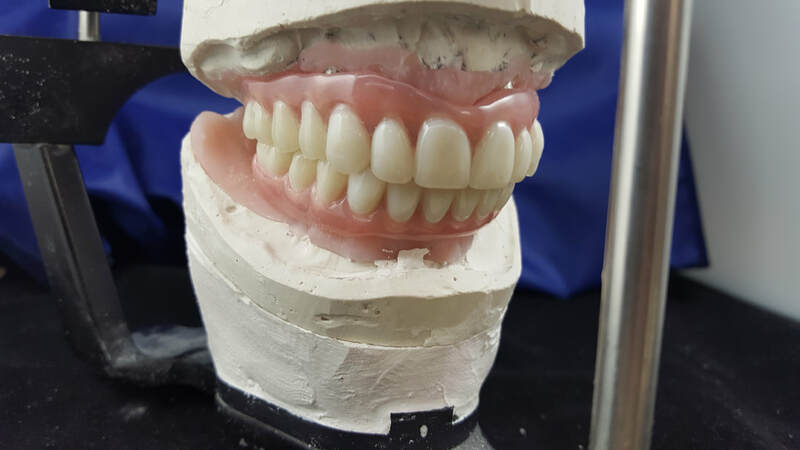 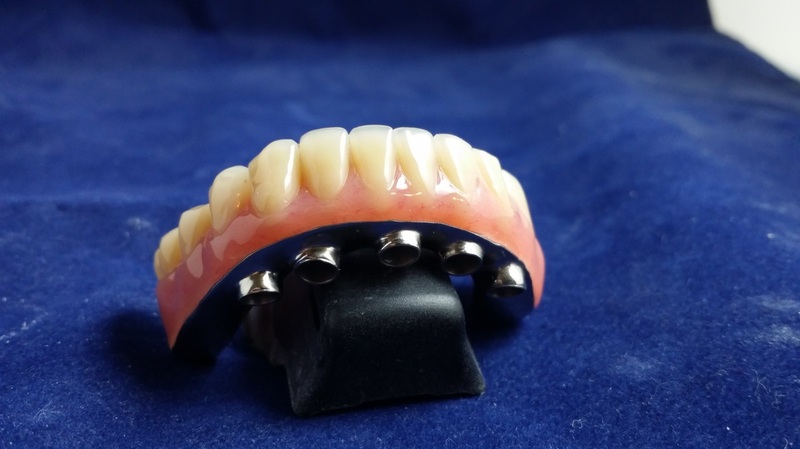 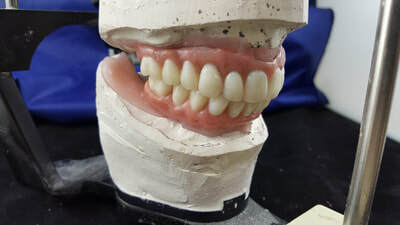 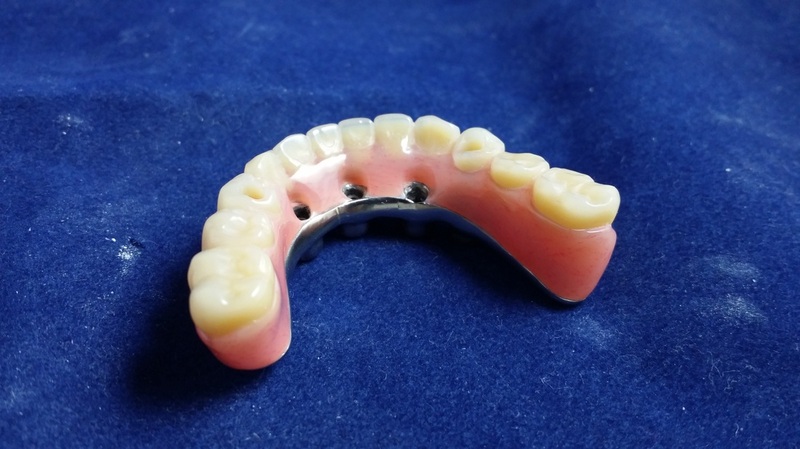 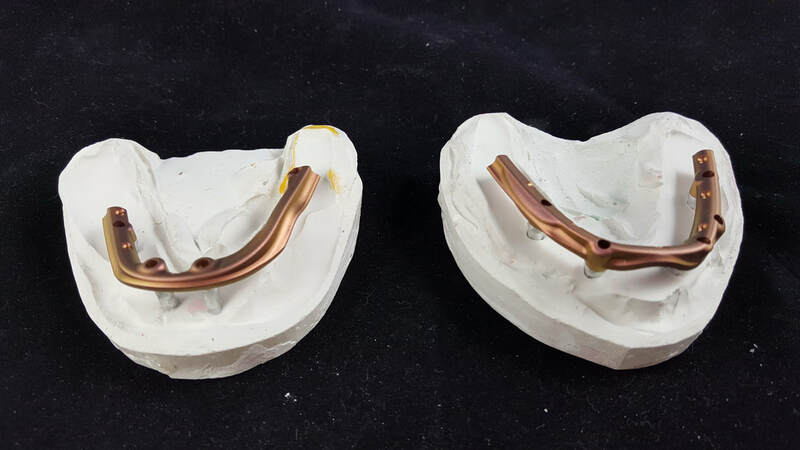 Take a look at the finished Fixed-Detachable denture. 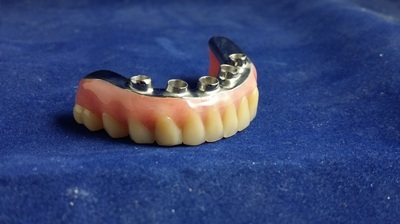 Below is a new case we did. 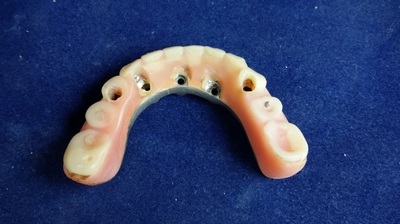 This first picture is not the same case, but it is the first step. 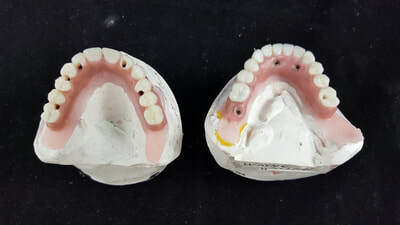 The first thing to do is a diagnostic wax set up. We need this in order to have the frame milled. 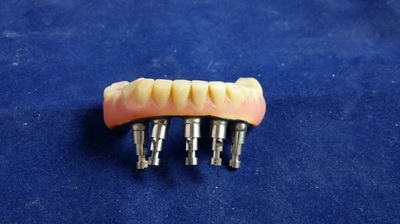 After we have a good set up, we send it to the mill lab and they send back a Titanium milled bar that is pink anodized. 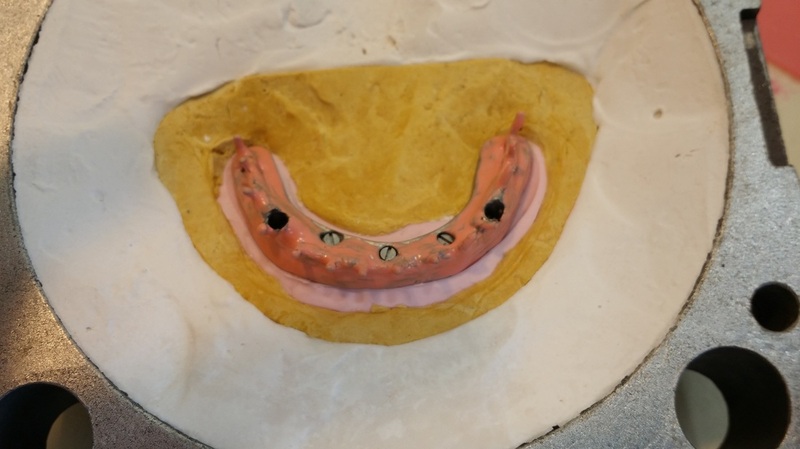 Once we have the milled bar, we transfer the diagnostic set up on to the milled bar and try it in and make sure things are perfect. 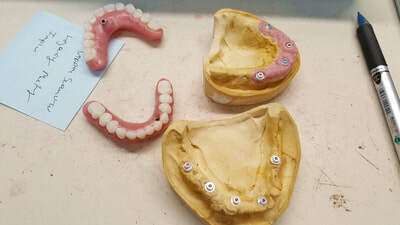 Once everything is set, we will inject it with our Success system and seat the final denture.